The theme of this year’s Community Archives and Heritage Group (CAHG) annual conference was industrial heritage evoking memories of last year’s Olympic opening ceremony. 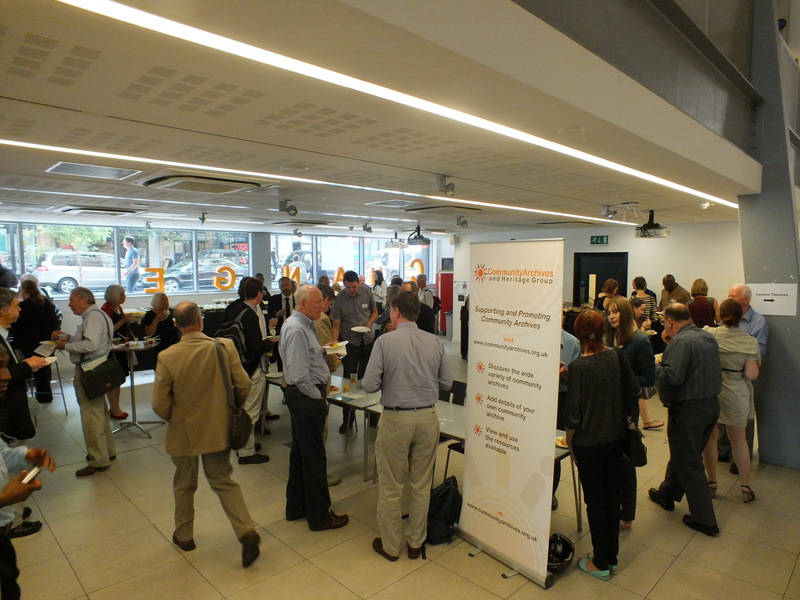 Over 100 delegates from community archives across the UK attended the conference and AGM on Wednesday 14th June hosted by University College London. 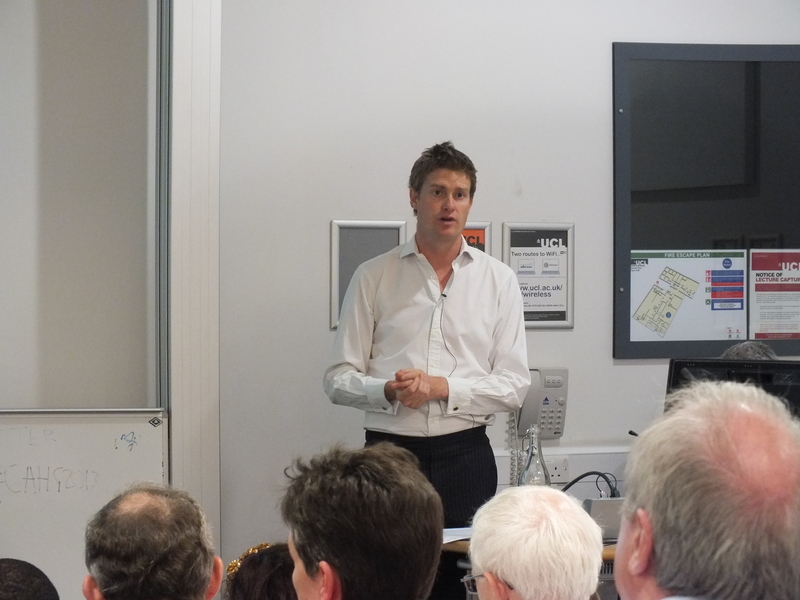 The conference kicked off in grand style with a keynote speech from Tristram Hunt, the Labour MP for Stoke on Trent who is also a historian, broadcaster and chairs the parliamentary group on archives and history. He spoke passionately about the contribution of the Staffordshire potteries in his local constituency to the industrial heritage of Britain. Citing the Wedgewood Museum and the Sutherland Collection as centres of excellence emphasizing both the business value of archives and their ability to “bring groups together” and engender a “sense of local ownership”. Continued investment in archives was essential he argued to ensure the survival of these “global assets”. 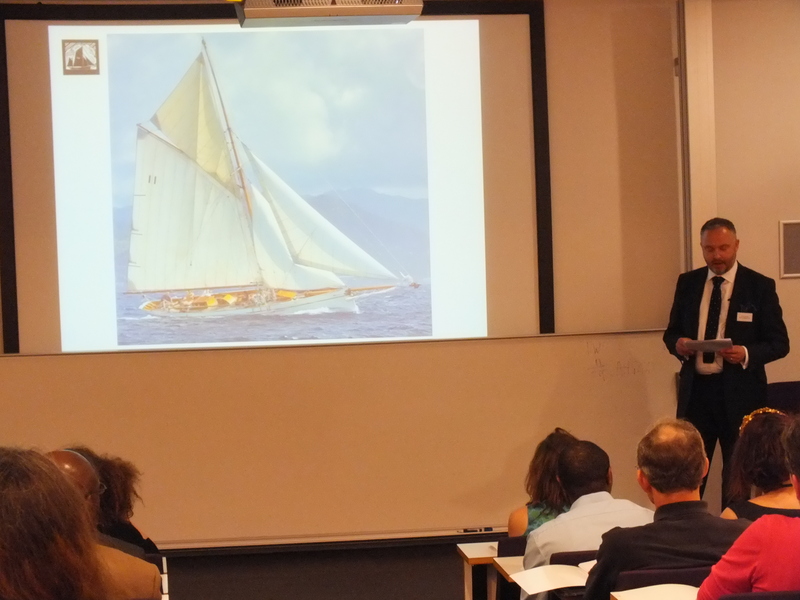 The programme for the day began with presentations from two marine archaeological projects, The Pioneer Sailing Trust and Thames Estuary Partnership both of which recover and document wrecks lying under the Thames. David Tournay a volunteer from the Pioneer Sailing Trust described how the wreck of a historic Essex oyster fishing vessel was restored and brought back to life. This he said is “living history” and school children benefit from trips out to the North Sea on the restored oyster smack. The Thames Estuary partnership have a team of 450 volunteers who catalogue the archaeology of the Thames foreshore, Eliott Wragg gave a fascinating account of how they had discovered the wreck of what was, in 1852 the largest and most powerful wooden warship in the world. Both projects give the lie to the old cliché that archives are simply about musty old bits of paper. Harry Cumberbatch MBE in partnership with The National Archives told the story in photographs of how sugar made its way from the Caribbean to the London Borough of Newham. It was a moving story of slavery and independence and sought to raise awareness and preserve the heritage of the African/Caribbean community in Newham. Over a substantial buffet lunch delegates were treated to a display of photographs from the Britain From Above Project who are in the process of digitizing a collection of 95,000 aerial photographs illustrating the enormous changes in industry, housing, leisure and transport between the two world wars. As a taster of things to come, Marie Owens from ARA spoke of a new public awareness campaign launching on 17th November 2013 in conjunction with The National Archives. The “vast majority of the public don’t know what an archive is”. This campaign, she hopes will set the record straight. The day ended with a on a lively note with Rebekah Ponding’s talk about the launch of London’s Screen Heritage, an archive that collects film relating to the history of London and it’s people . Delegates were treated to a screening of post-war home movies in colour giving a fascinating glimpse into the lives of ordinary Londoners. 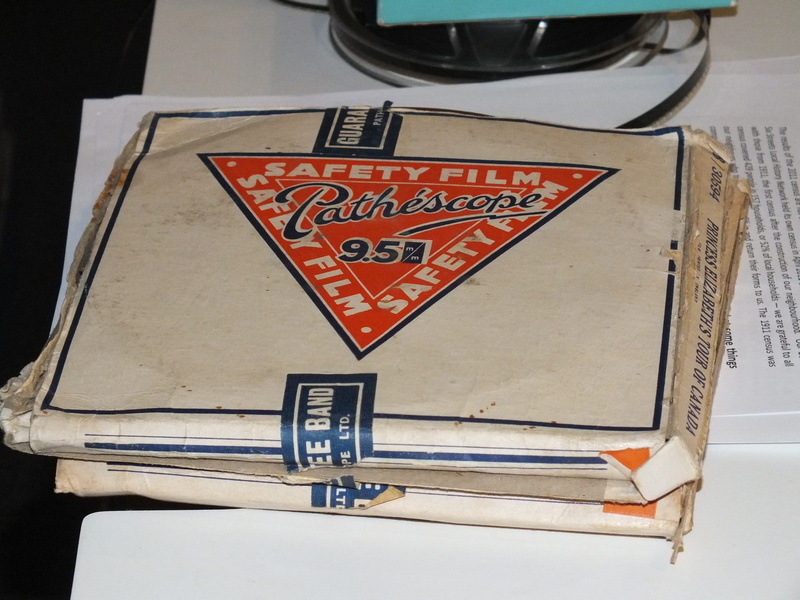 Eager to discover new material (with or without sound) she counseled members to keep a lookout for stacks of unwanted film canisters lying around in garages, they may find a home at London Screen heritage. For the second year running, CAHG presented awards for best community archive projects across the UK. The competition was fierce making the final decisions of the judges extremely difficult. The overall winners were “Beyond the Point” run by two inspirational 16-year-old school-boys from Canvey Island, Essex. As amateur archivists they started their collection when they were only 14 not realizing their exploring hobby would lead to a new adventure on the heritage road and immersion in the world of archives. In a lighthearted presentation they demonstrated “how you can use archives to get famous”. The two teenagers proved however that a fusion of local history and the creative use of social media produced a community resource that attracts a very young audience. They posted video clips on You Tube to direct people to their website, so it was not hard to see why Beyond the Point also won the best online award category. Six Streets Derby won the most innovative project award. It was another example of the imaginative use successful public engagement in community archiving projects. Curious local residents carried out their own census across 6 streets in Derby in 2011 inviting comparisons of how household demographics had changed in the 100 years since the 1911 census. The Most Inspirational award belonged to Ryde Social Heritage Group, a local social history group on The Isle of Wight that centre their activities around a cemetery in Ryde. Through their brilliant use of public engagement activities they literally bring the dead to life. Demonstrating their appeal to both young and old audiences alike primary school children are taught how to transcribe symbols on graves and learn the history of Ryde in miniature through handcrafted models of shops and houses. This page was last updated on 27 May 2015.